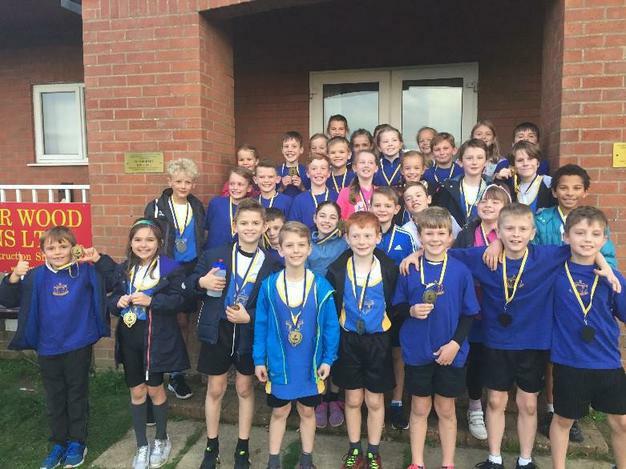 On Thursday 12th October, a group of Key Stage 2 children attended a Cross Country competition after school at Alford Cricket Club, Well. The children were very excited as it was their first competition of the year. Once we had arrived at the event, we had our team talk then went through our warm up with Mrs Thomas. At that point, everybody was eager to get started! 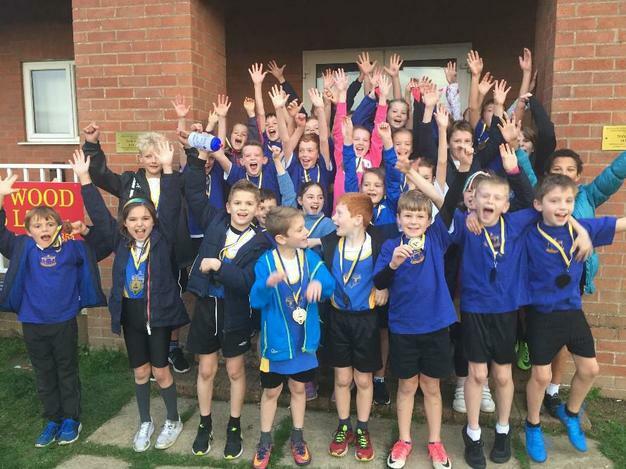 The children ran in their Year groups as boys and girls respectively. Children in Year 3 and 4 ran one lap, which was approximately 800m. The Year 3 girls ran first; Lea finished in 3rd place with Ellie in 8th and Annie in 15th. Next up was the Year 3 boys - there was an outstanding performance by Adam, who won the race by a clear way. Xavier and Ben also raced well, finishing in 8th and 14th. The Year 4 girls followed; we only had Jessie representing our school and she finished strong in 5th place. In the Year 4 boys, there was a lot of good competition: Oliver T finished in 11th, Jonathon in 12th, Oliver S in 14th, Liam in 15th and Max in 25th. The distance of the races changed as we moved on to Year 5 and 6 races; they ran two laps on the field, totalling 1600m. First up to compete in this event were the Year 5 girls. There was another outstanding performance from Jess, who won her race comfortably. She was followed by Marla in 3rd, Eleanor in 5th and Romily and Ruby in 9th and 10th. Next was the Year 5 boys! Max finished well in 5th and was followed by Joseph in 7th. After that came Oliver in 13th, Nathaniel in 15th, Charlie G in 21st, Bertie in 32nd and Charlie P in 42nd. The Year 6 girls followed. Tallula finished in 3rd followed by Sophie, Aaliyah and Eve in 4th, 5th and 6th. Great teamwork, girls! Finally, it was the turn of the Year 6 boys, who had waited very patiently. Alex finished in 5th and was closely followed by Angus in 7th, Jay in 8th, Toby in 9th, Oliver in 11th, Noah in 12th and Jake in 19th. Each of the races were out of approximately 50 children. All of the children ran with sheer determination! When the children were not racing, they spent their time cheering on their friends around the outside of the course! A huge congratulations to all of the children involved for their great efforts; we won overall as best large school, which was an excellent achievement. A big thank you to Miss Fox, Mrs Thomas and Mrs Kerwick who also attended the event.